Here at Jungle World, we provide flowers for offices and other corporate buildings, so we like to keep up with the trends when it comes to innovative new ideas to keep your corporate environment looking fresh. Whilst doing our research, we came across a particular story that really grabbed our attention. A company named Bimetal Creations in San Francisco in California have created a brand new, inventive form of fake flower which behaves exactly like a real flower; opening and closing with the change in the temperature of the environment it’s in. As we mentioned above, the flowers react to the temperature in the exact same way that real flowers would in a garden. They do this through the use of a bimetal coil rather than batteries and motors. When the bimetal coil is heated, the flowers petals will open and when they cool, they will close up. These coils have been used for many years in household thermostats and other temperature sensing appliances, so they aren’t a new concept in the slightest. What Bimetal Creations have done is essentially attached the metal petals of the flower to the stem using one of these coils, enabling the flower to absorb heat and open and close in accordance with the temperature. Even though these flowers have an operating range of 10°C to 32°C, the creators offer to “tune” your flower to be able to operate in a different temperature range. 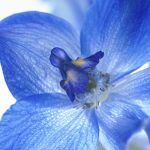 The bimetal flowers are designed to be used outside where it can operate more effectively with the help of the sun, but it’s not essential that they are outside. For those people living in an apartment or wanting to decorate their homes and offices with these flowers, they can be enjoyed inside too. If you keep the flower in a sunlit spot, it will still operate as if it was outside. It will still open and close in accordance with the temperature of the room! According to the creators’ kickstarter, they expect the flowers to last for at least 4 years. Thanks to the very simple design of the flower and lack of wearing parts, they are less likely to break during normal operation. 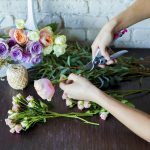 Obviously, you will want to make sure that you place the flower in an area that has no falling hazards or access to a lot of water to make sure your flower can operate safely and effectively. Currently there are 4 colours available on the Kickstarter; Ruth, Ethel, Mabel and Henrietta. Ruth is a beautiful, bright red colour that makes it look quite similar to a poppy. Mabel is an attractive orangey-yellow shade and Ethel captures the beauty of the copper used to make the petals. Henrietta is also quite metallic but in an attractive burnished red colouring. Could They Be Used in an Office? Here at Jungle World, we love this idea and we think that they would make a beautiful addition to any office environment. Offices with air conditioning would also benefit from these innovative blooms as they would be able to control the temperature in the office all year round, effectively controlling when the flowers will open and close. They take no effort to look after and their 4 year minimum lifespan is an attractive alternative to the fake flowers that are on offer today. We love the thought and creativity that has gone into creating these beautiful blooms. However, if you would still like to benefit from the fresh smell and appearance of a real flower arrangement, feel free to contact us here at Jungle World. We have a wide range of flowers that we arrange to suit your office or corporate environment. Call us today on 0208 968 8190 and one of our friendly team will be happy to help.